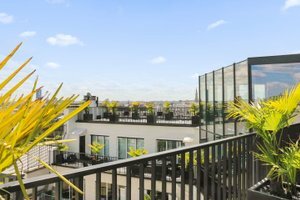 This bright and modern space is located in the upmarket area of Champs-Élysées. 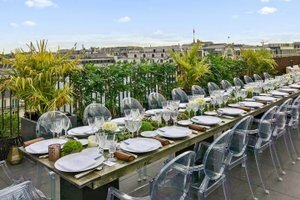 This sophisticated space is an ideal venue for a Showroom, Private Event or Exclusive Sale. 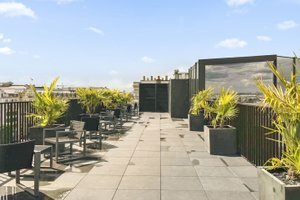 The venue includes the rooftop on the 10th floor, a storage room on the 10th floor, a covered glasshouse on the 9th and 10th, a 9th floor entrance hall that provides access to to the men's and women's toilets, to the two staircases, to the cloakroom, as well as to the interior elevator. 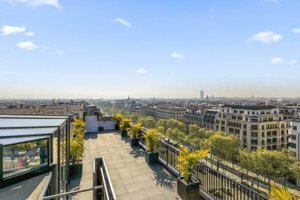 Advantageously composed of 2 separate terraces as well as a space of 60 sqm reserved for the reception, this gives right to a superb direct view on the Champs-Élysées with on one side a look on the Arc de Triomphe and the other on the Eiffel Tower. 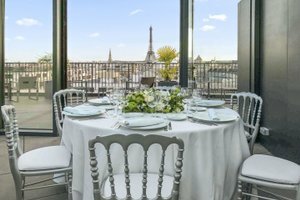 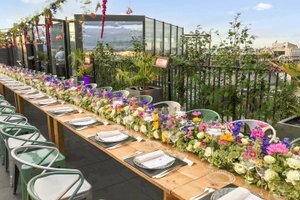 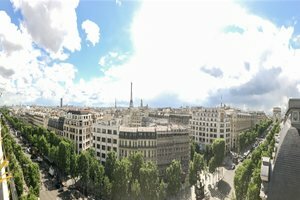 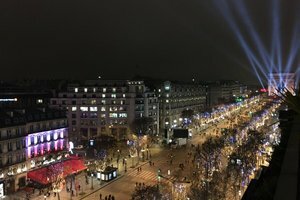 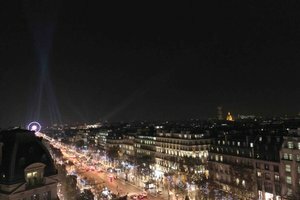 In an exceptional location, at the confidential address located in the middle of the Champs-Elysées, at the very top of the highest building of the Avenue, a unique place by its rooftop which offers a panoramic view and 360 degrees on all the monuments of Paris. 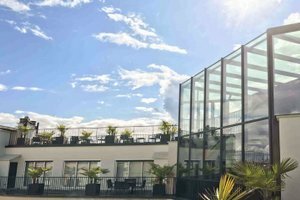 This modern, bright and sophisticated space is an ideal venue for a showroom, a private event or an exclusive sale. 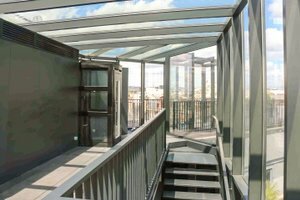 This space is surrounded by several flagships like that of Louis Vuitton. 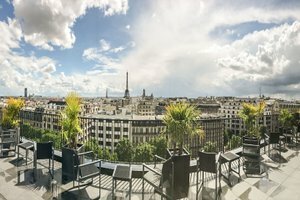 This is an exceptional opportunity for brands to align with the world's leading brands.